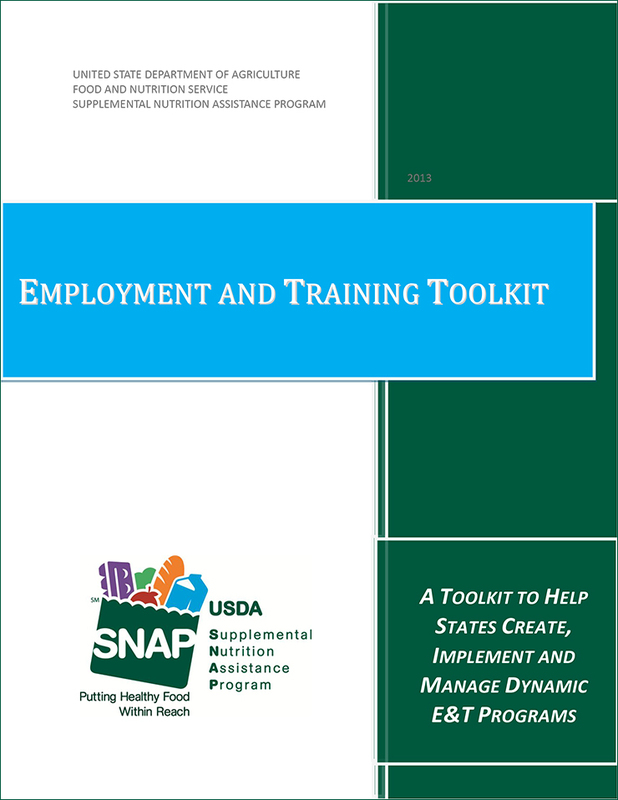 The purpose of this toolkit is to provide state agencies with the know-how and resources to plan and implement Employment and Training (E&T) Programs under the Supplemental Nutrition Assistance Program (SNAP, formerly called the Food Stamp Program). In 1987, Congress established the Food Stamp Employment and Training Program to assist able-bodied food stamp recipients in obtaining employment. From its conception, the purpose of the E&T Program has been to help SNAP households gain skills, training, work, or experience that will increase self-sufficiency.